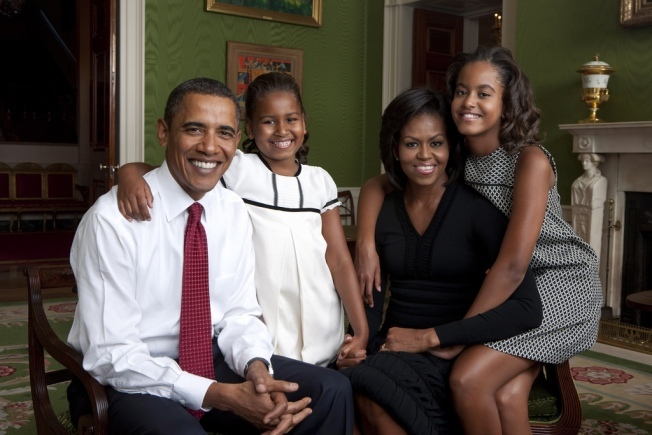 No Sears Portrait Studio for the first family! The first family has a classy new portrait, thanks to legendary celebrity photographer Annie Leibovitz. The photog is also responsible for iconic images like a naked John Lennon cuddling Yoko … and a naked, preggers Demi Moore … or that scandalous naked Miley Cyrus shot of her naked with a sheet … OK, and pretty much every naked celebrity portrait ever. Shockingly enough, Leibovitz can also maintain that whole family portrait business on the side. 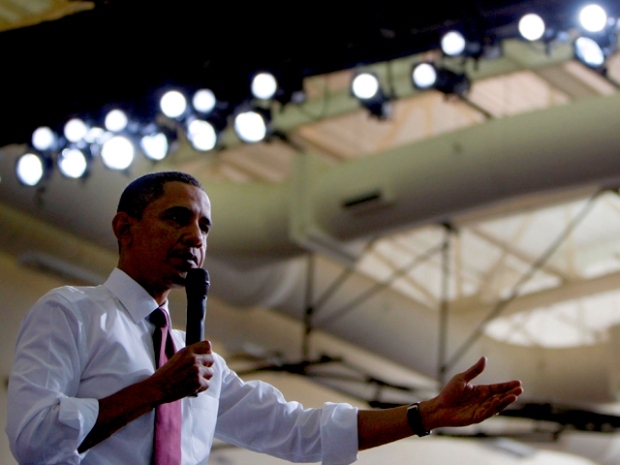 She snapped the Obamas beaming in the Green Room of the White House on Sept. 1. OK, so it's no shocking Demi-Moore-is-17-months-pregnant cover, but Leibovitz is no stranger to cutesy family stuff, either. After all, she did Suri Cruise's baby pics. 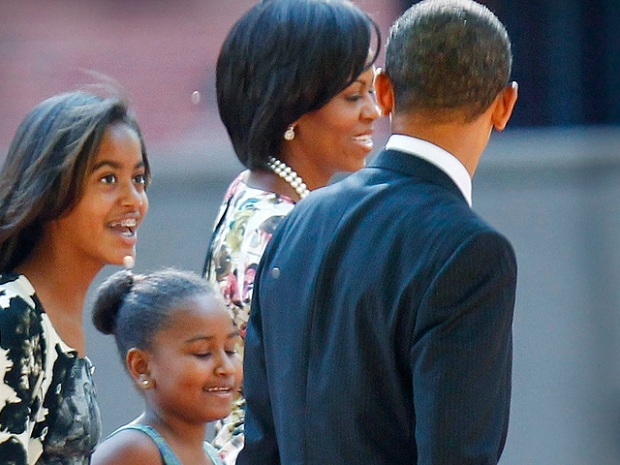 The ever-photogenic Obama family even manages to avoid that dangerous trap of unnaturally propping up their chins with their fists. Sasha's arm is drapped casually around her dad's shoulder. Malia wraps both arms around her mom and appears to be the most stunning thing of all: a tween who's not embarrassed by her parents. OK, now we're really jealous. Now, think about your own family portraits. You probably got stuffed in the back of a brown station wagon and hauled out to the edge of the 'burbs for some Sears Portrait Studio action. After all, it wasn't a proper family portrait without that fake fireplace backdrop, right? Another thing: The Obamas just might be the only family who can consistently color-coordinate their outfits without looking like they're trying too hard. Hey, entire blogs exist around the fact that this is generally impossible to do. Just one more way the Obamas get to be more classy than the rest of us.